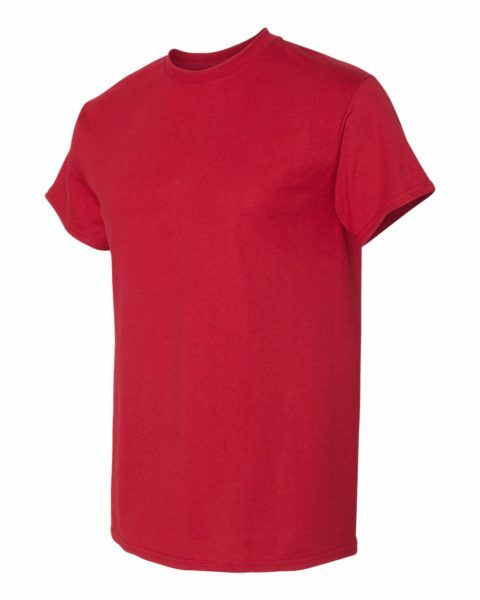 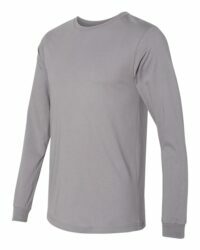 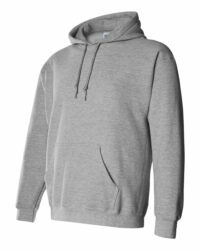 If you’re looking for a durable t-shirt with minimal shrinkage, go with a blend like the Gildan 5.6 oz. Ultra Blend 50-50 t-shirt. 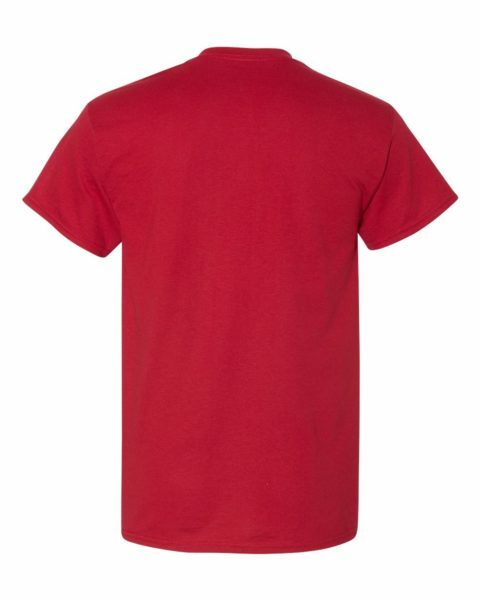 This tee is made of 50% preshrunk cotton and 50% polyester making it more durable than those that are all cotton. 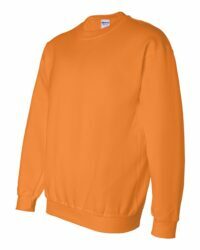 They are less resistant to shrinking in the washer and dryer & it’s made to hold its shape, with double-needle stitching, taped shoulders and a seamless collar. 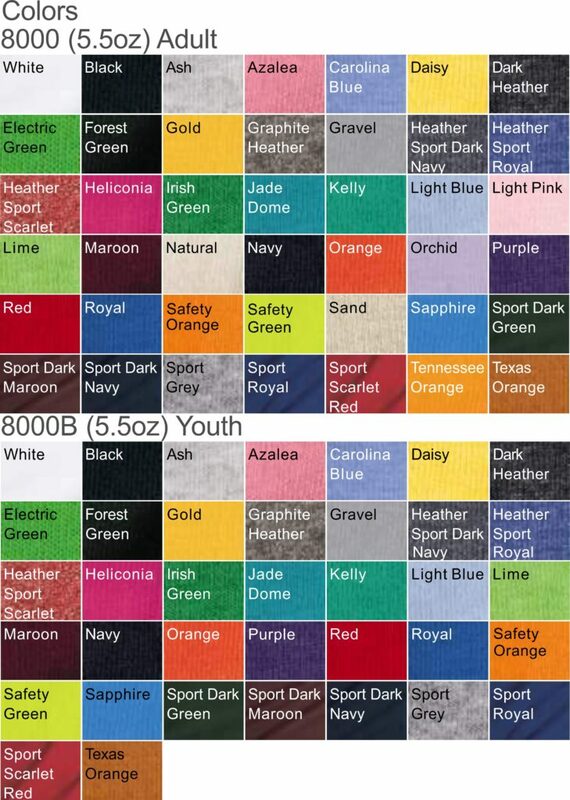 The ‘Dry Blend T-shirt’ comes in 30 colors and is offered in adult, ladies and youth sizings.